This is my desk. Yes, it's messy. I've always blamed it on heredity. Messy desks are in my DNA. 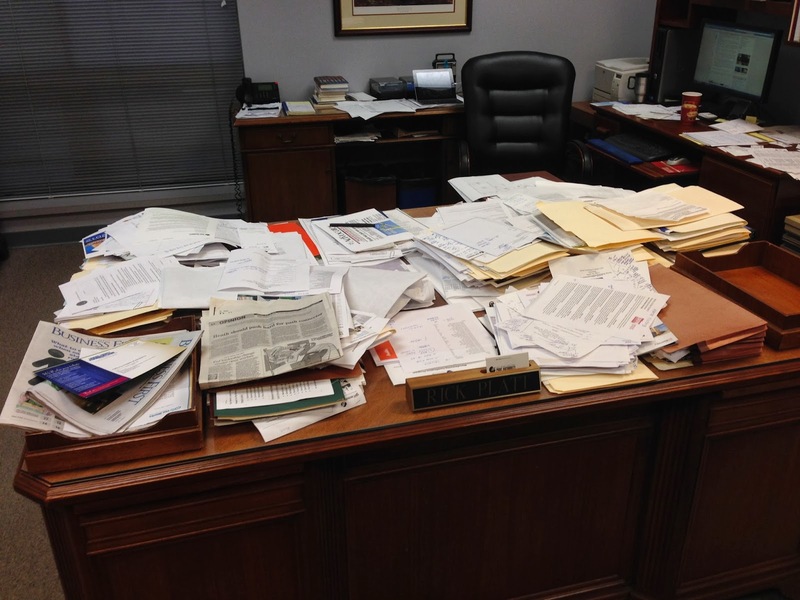 Now, a piece entitled "Why You Should Have a Messy Desk" puts us messy desk folks in good company with creative, risk-taker types--Steve Jobs and Albert Einstein to name a couple. I confess, now, to a messy desk. Just don't touch anything, and I know where everything is.